Dumiso Dabengwa and the Dumiso Dabengwa Foundation will launch the Ihawu Awards on the 7th of December. 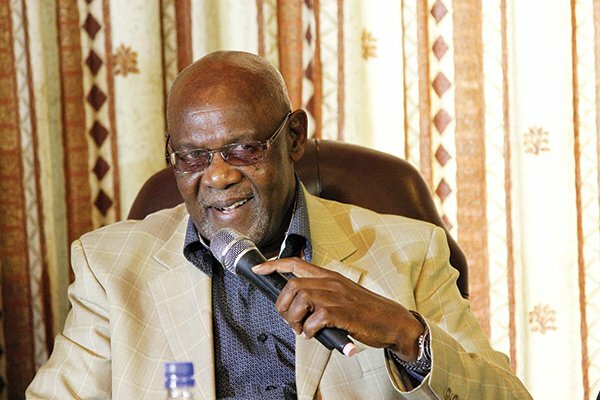 The Awards are meant to honour men women who have sacrificed a lot for Zimbabwe.The Foundation said in a statement, "The Inaugural Dumiso Dabengwa Ihawu Awards are give to our everyday heroes starting from the days of the liberation struggle to date. The Awards seek to celebrate, honour and recognise the efforts by ordinary Zimbabweans in the preservation of the ideals of the liberation struggle." The event will be held at the Zimbabwe International Trade Fair from 5PM to 9PM. Tickets to enter are sold at 1000$ per table and 1000$ per head. The Awards will also coincides with the official launch of the Dumiso Dabengwa Foundation as the the Intelligence Supremo is retiring from active politics. The Foundation Director, Mthulisi Hanana said there will be different stakeholders representing various entities attending the official launch. "In attendance will be Representatives of the Government, Ambassadors, leaders of liberation war and guerrilla movements, members of the Zimbabwe National Army, members of the Zimbabwe Republic Police, Civic Society Organizations, International and Regional Political Foundations, various Commissions in Zimbabwe, the business community, Universities, leaders of political parties, media practitioners and the general public."